UX design acts as the backbone of a designing experience. Much like an engine under a vehicle’s hood, the UX ensures that a digital experience is smooth, intuitive, and simple. You can’t always see it, but you’ll feel the difference when using an interface with optimized UX. Whether you’re creating an e-commerce app to run on multiple devices or developing a new cloud-based platform, a well-designed UX can ultimately set your product apart from the competition. In current era, most people interact with some form of technology on a daily basis. From using a smart TV to access the latest weather report to accessing work applications on a smartphone, technology is more hands-on, valuable, and user-friendly than ever before. For technological advancements to continue to take root in society, hardware and software professionals must focus on creating a seamless experience. Devices, websites, and applications that are too difficult to use or learn fall to the wayside in favor of solutions that intuitively make more sense. While UX is a fairly new field, some professionals have been working on optimizing end-user experiences for 10 to 15 years. Today, every business with a digital presence has a stake in successful UX. On the business side, UX drives market visibility, adoption rates, and customer satisfaction. Content producers, coders, graphic designers, web designers, information architects, and SEO strategists all play a role in creating a positive user experience. The user experience is something that, if done well, end-users will never notice. When web pages, applications, and devices are designed with UX in mind, a user can focus on the purpose of the product – typically a message or interaction. Functionality: A positive UX is both learnable and forgiving for users from all backgrounds. For an ecommerce site, for instance, a user expects to intuitively access product information, graphics, video (if applicable), user reviews, and a streamlined checkout experience. This component requires UX teams to focus on navigational cues/hierarchy, forgiving formats, and responsive design. Value: Every piece of digital content should provide value. In the ecommerce example, value might translate to a rewards program and/or the easily-accessible information a consumer needs to make a purchasing decision. 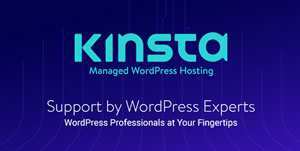 This component typically connects with content, content layouts, and information architecture. Satisfaction: When humans interact with technology, the interaction can elicit an emotional response. You never want the response to be frustration, anger, or confusion. 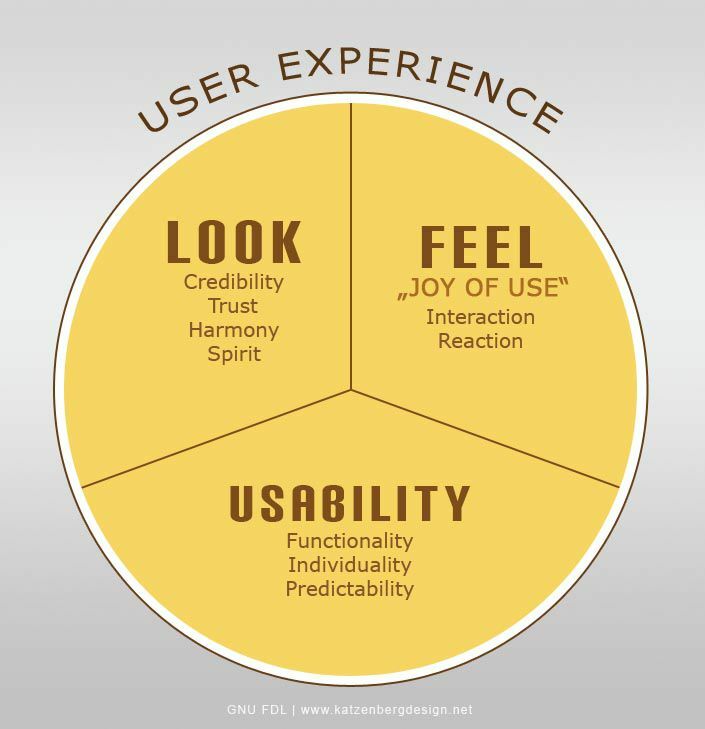 UX means creating an interaction that leaves a user feeling content, satisfied, or even happy. 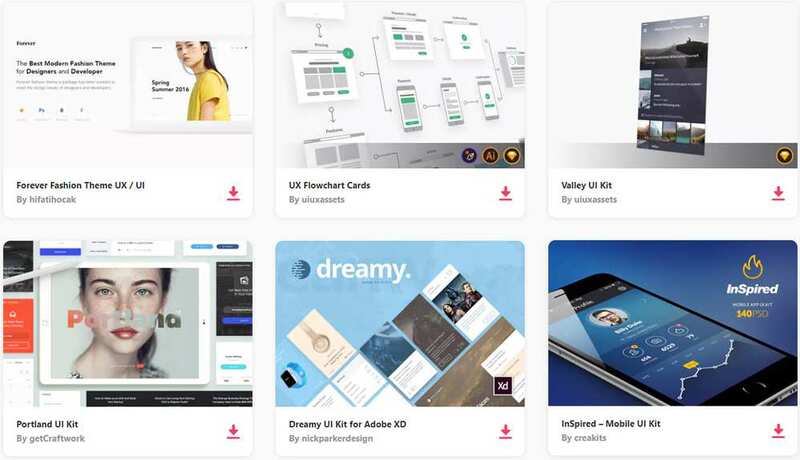 To create satisfaction, UX professionals work closely with UI professionals to create micro-impressions and use psychologically rewarding colors, graphics, and interactions. You may see these basic components in many different forms, but these three items span every discussion of core UX criteria. In the image below, UX is described as “look, feel, and usability.”; Other terms you may see to describe the same essentials include adaptability, efficiency, desirability, and user-friendliness. Compare the Uber interface with a local cab company. Within a few moments on the website, any average user can identify the UX-optimized site. You can probably identify which is more user-friendly just by looking at the screenshot. Uber’s mobile app and desktop site feature simple actionable cues, comforting colors, and responsive interfaces. The typical cab company, on the other hand, has a busy looking site with so many different navigational cues that a user might forego the digital cab-hailing experience altogether. In the case of the cab industry, the effects of poor digital UX have had repercussions on businesses. In LA, taxi travel has dropped 20% since rideshare apps came to the marketplace. People of all ages prefer the user-friendly, straightforward, and transparent process of booking a rideshare car. Speed is Important: Speed issues associated with remote geographical locations are acceptable. Speed issues associated with poor design choices are not. 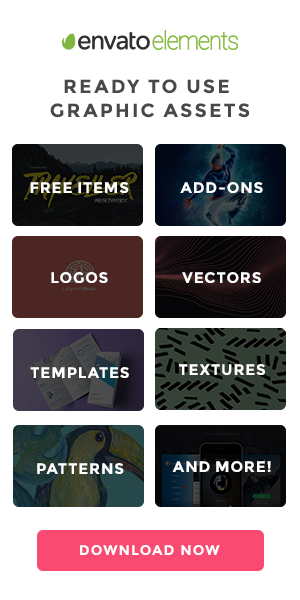 Optimize each component to ensure fast transition times for apps and websites. Remember that UX extends to all digital products: If you have a website, an app, and/or a software product, give each of them a familiar look and feel. A user should know he or she is using your brand’s product. Navigational cues, layouts, core colors, and workflows should follow the same patterns. Create Layouts that Direct Users: A user-friendly format should direct the user’s line of sight as well as his or her actions. Instead of focusing on the number of clicks a user has to make, think about creating clarity during the process. Each task flow should feel simple and confirm a user’s actions. Incorporate multiple fail-safes. Have you ever clicked on something before you were ready to submit it? Give users an opportunity to undo, modify, or save input. Focus on Micro-UX: Small interactions can make a major impact for an end-user. Asking for readers to engage in a poll, incorporating gamification tactics, and giving users progressive tips can all engage the user and add value to the experience. However, use caution when adding micro-UX features to a product. Too many additions and/or unintuitive additions can quickly backfire. Use Data to Inform Changes: UX professionals must focus on the user-outcomes as well as the technical aspects of a process. Validate design choices with strong consumer data-backed KPIs that go beyond a traffic count. Look for individual feedback as well as metrics on the amount of time users spend on the page and where they go as they navigate. Work Closely with Other Team Members: UX professionals need to know what content creators, UI designers, and other team members are doing to create a seamless experience. Focus on collaboration between departments that have a stake in the digital experience to maximize a product’s potential. Remember the Business Side of the Project: In the real world, UX team members aren’t solely focused on product development. Think about how every design choice impacts a brand’s budget, reputation, and schedule. Develop strategies that consider tech decisions and business outcomes. Engage in ongoing UX educational opportunities. Like many other tech fields, UX is constantly evolving. The prescribed methodologies of today may not work for the user experiences of tomorrow. Use online courses, forward-looking seminars, and trade publications to maintain current knowledge of UX trends and philosophies. UX is an art and a science. Creating a phenomenal user experience requires knowing the tech, the user, and your team. Keep the essential components in mind, and then focus on the technology and design trends that fit your company’s brand personality. As long as you’re thinking about the end result and the individual steps it takes to get there, you’re on the right track.